Running tour through the Bolivian Andes and Amazon. 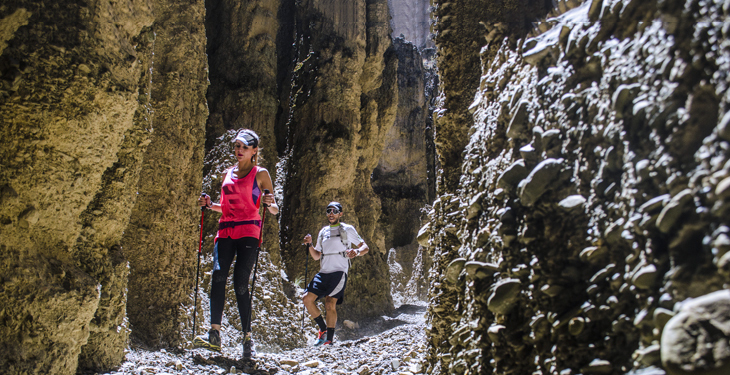 This is a true bucket list trail running tour you won’t ever forget! 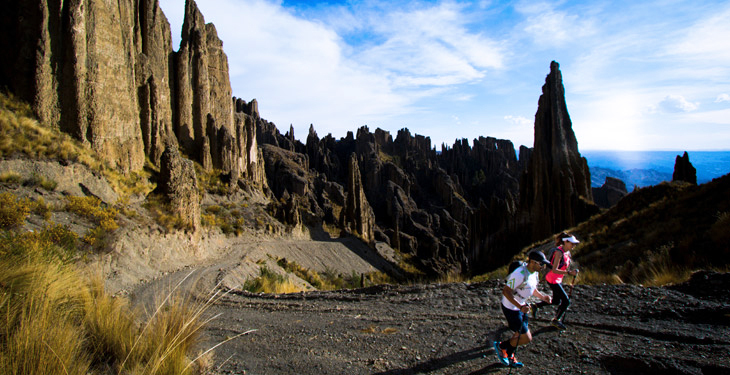 Trail running in Bolivia offers a true connection to the amazing energy of the Andes Mountain Range. Endorphins will kick in at a higher level and your blood will be pumping thanks to the higher elevations. Combine this with the spectacular views and amazing locations for a truly one of a kind running experience. Run through the Bolivian Amazon on the famous "Death Road," traverse the world's largest geological tower site in the Valle de las Animas, and run on Sun Island with views of ancient Incan ruins and Lake Titicaca, one of the highest lakes in the world. During this tour you'll also have a chance to immerse yourself in the history and culture of the region as you run on ancient pathways and really get in touch with the backcountry of Bolivia. 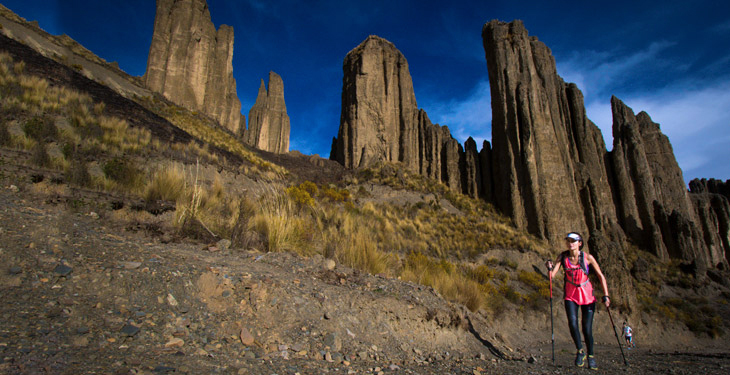 Visit beautiful locales rarely visited by tourists and delve deep into the true essence of Bolivia with this bucket-list trail running adventure. Upon your arrival to the city of La Paz, your guides will be waiting at the airport with private transportation to bring you to your comfortable hotel, located in the suburban neighborhoods of downtown La Paz. You can take the rest of the day to settle in, explore, and relax after your flight. There will be a short briefing in the afternoon followed by a welcome dinner ceremony. Today is set aside for you to acclimatize to the high altitudes of La Paz before you begin your running journey. The elevation is no joke! In the morning, you can enjoy a nice walking tour around La Paz’s Witches Market, Plaza San Francisco and then take the afternoon to explore the full gondola system of La Paz. It's a unique and very interesting aerial way to look at the amazing contrasts of the city. After the gondola system tour, you'll visit the geological reserve of the Moon Valley, one of many outstanding and exotic geological formations in La Paz. End the day with a nice dinner before turning in for the night and getting a good night's rest. Now you're ready to truly begin your running tour. Enjoy an excellent breakfast before leaving towards the jungle basin of Bolivia. 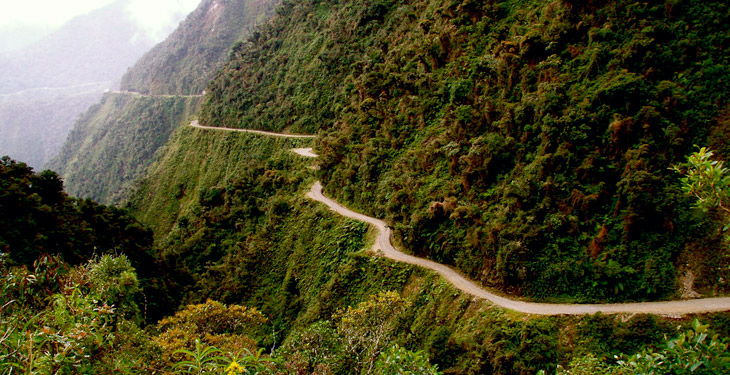 In just a few hours, you'll leave the Andes and dive into the Amazon Jungle, eventually reaching the start of the famous "Death Road." It's an iconic run that will have you traversing across one of the world’s most harrowing roads ever built! Never fear, your guides will lead the way safely down, and you can enjoy the amazing views and majestic waterfalls during this 9.3 mile (15 km) downhill run. It's the perfect way to acclimatize to the environment and start tackling Bolivian soil! Eventually, you'll arrive at the finishing point to regroup and hop back into your transportation. Enjoy a short drive to the lunch spot where you can take a refreshing shower right in the middle of the Bolivian Amazon. After lunch, you'll have another short drive to the mountain jungle town of Coroico where you'll be able to observe the majestic Andes Mountain Range rising over the vast jungle canopy. Settle in for the evening at a comfortable hotel near Coroico. Rise for an early breakfast in the Bolivian Jungle before taking transportation back to La Paz. Once in the city, you'll head southeast towards the epic Valle de Las Animas! This 6.8 mile (11 km) run is sure to be one you'll never forget. Valle de las Animas is the world's largest geological tower site. The views, canyons, natural alleys and needle like mountain formations are definitely something out of this world! You'll traverse the entire extension of the valley in one unbelievable run before regrouping for lunch in southern La Paz. The rest of the afternoon can be taken to rest, or explore La Paz for souvenirs to bring back home. Meet up with your tour group in the evening for dinner. Rise early in the morning for breakfast and take transportation to Lake Titicaca and Sun Island (or Isla del Sol). A beautiful four hour ride will take you through the spectacular Andes Mountains and past the world's highest navigable lake. The majestic Titicaca provides a new and exciting atmosphere to the experience as you take a quick boat ride to Sun Island. Home to the birth of the Inca culture, this island is definitely one of Bolivia’s most sacred places. The views here are truly awe-inspiring, and the overall vibe offers a calm, refreshing experience. Settle in to the beautiful eco-lodge in the middle of the island for a good night's rest and an amazing dinner! Wake up early and enjoy the view of the sun rising over Lake Titicaca. It's a once in a lifetime experience that will leave you recharged and invigorated for the day to come! Enjoy breakfast and an early morning run of 9.3 miles (15 km) across the landscape of Sun Island. 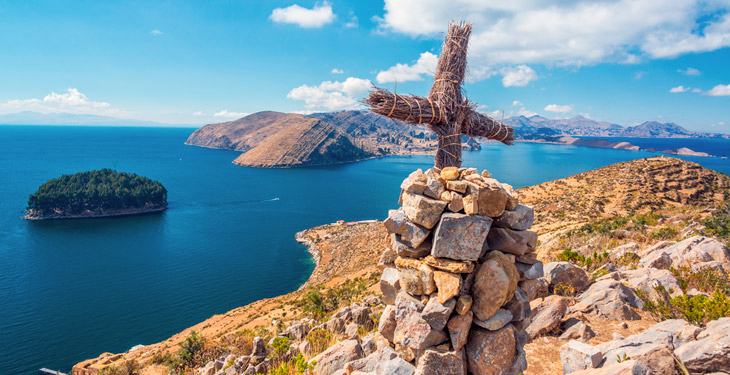 This is one bucket list run you won't soon forget, thanks to the deep blue colors of Lake Titicaca and the Incan ruins spotting the island. Following the run, you'll take time to regroup at the hotel. Get cleaned up and change into comfortable clothing for the journey back to La Paz via boat and private transportation. Upon arrival in La Paz, you'll drop off your things and then head out once again for dinner. Today is definitely one of the highlights of this tour! After a good breakfast in the suburban neighborhoods of the city, you'll take a short but spectacular drive to a truly up close and personal encounter with the majestic Andes Mountains. 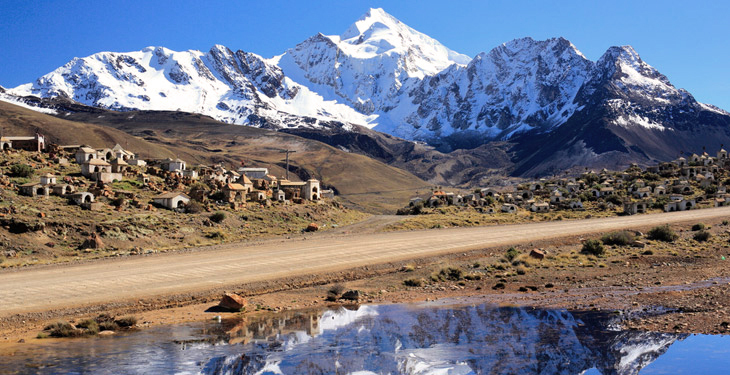 You'll drive straight towards Huayna Potosi, one of La Paz’s main “Guardian Mountains” that stands at 19,000 feet high. From there you'll begin a 6.2 mile (10 km) run at an elevation of 16,000 feet. This is a run to really test your mettle. The high altitude will get your blood pumping and endorphins running in a way you can't experience anywhere else. Combine this with the outstanding views and the overwhelming presence of the mountains around you and this is sure to be a surreal and unforgettable experience! After this amazing high altitude run, you'll settle in at the base camp of Huayna Potosi for a pleasant lunch in a beautiful cabin setup. Following lunch you'll be transported back to La Paz for some rest and clean up before a farewell dinner in one of the city's most iconic high-end restaurants. Sadly, it's time to say goodbye to La Paz, your guides and fellow runners. Share photos and memories before leaving the hotel in the morning. Transfers to the airport is included. Whether you're running in the heart of the Andes or the entrance to the Amazon, Bolivia Bucket List offers tours you won’t ever forget. This trip will run with a minimum of 2 people and a maximum of 16 people. Please wait to make your travel arrangements until you've received confirmation from Bucket List Bolivia that your trip is confirmed for departure. In extreme cases, climate factors may alter the itinerary order and routes, but not prevent the trip from running. Access to trails may also affect the order of the itinerary in case of road maintenance or weather affecting the trails access. Yes, there is an option to book a solo room for an additional cost of $330 USD. All meals, excluding breakfast and lunch on day 1, will be provided, as well as plenty of snacks. When it comes to meals, Bucket List Bolivia focuses on three main concepts: 1) prime Bolivian restaurants, 2) good quantity of food in the servings, and 3) introduction to Bolivian cuisine and ingredients. 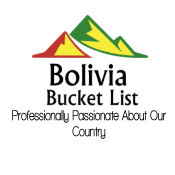 Bucket List Bolivia recommends an extra $200 USD for souvenirs, gifts and non-included meals and beverages. This itinerary and the routes are carefully designed to slowly acclimatize guests to the different altitudes. The minimum age is 18 without a tutor and 16 with a tutor. It is important to note that no matter the age, you must be an experienced runner.